Ah, the one last night of wild fun before setting off into married life. 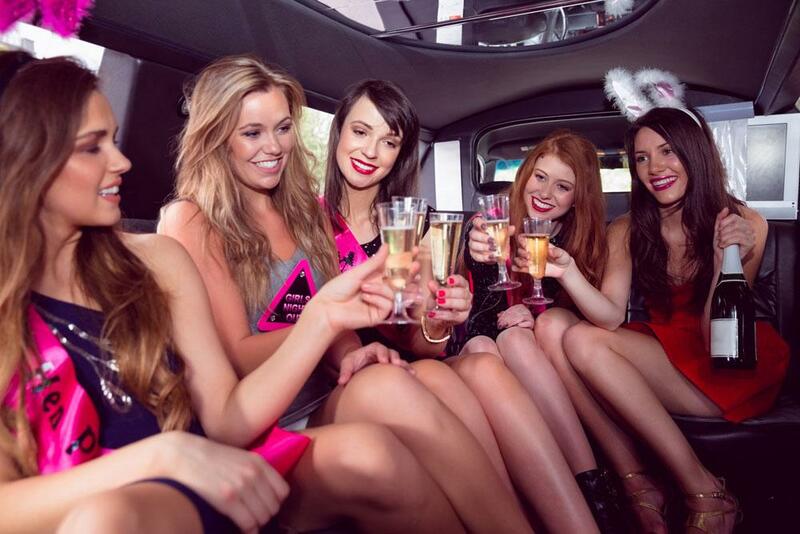 The bachelor party or bachelorette party is the perfect excuse to have a night out on the town with great friends, so accentuate this awesome night out with a party bus reservation from Rockstarz Limousine. Our fleet of party buses, stretch SUVs, and limousines is sure to have what you are looking for. Our most popular rentals for a bachelor or bachelorette party are our party buses. Designed to accommodate you and your guests in comfort and style, our party buses allow you to let loose and have all the fun you want. Tell us what you want and where you want to go and when you want to get there and leave the rest to us. Need a stripper pole for your party bus rental? We have it. Need music? Our party buses are equipped with the best sound systems around. Need plenty of ice to keep your beverages cold? Our party buses come with ice, napkins, and cups on request. There’s no quicker way to buzzkill a great night out with friends than trying to figure out who is going to drive. Don’t even take the chance with drinking and driving. Take the stress out of transportation and let Rockstarz Limousine be your designated driver. We will pick all of the members of your party up at their locations, and drive you wherever you’d like to go. Let us do the driving while you do the partying. Getting married is something that you and your friend may have looked forward to for some time. Now that the time has finally arrived, you want to leave single life in style with a great party. Begin and end your night of partying on a party bus from Rockstarz Limousine. Keep everyone safe and having a good time while one of our professional drivers transports you around town. Just tell us when to be there and we’ll be there and ready to get the party started. When the evening is over, we can also make arrangements for mass drop off or if preferred, individual drop off. The decision is yours.